Gift of Richard S. Dunn to the Archives in 1995. The collection has been organized into eight series: Administrative files; Teaching material; Publications, presentations and manuscripts; Other professional activities; Personal files; Glass slides; Reference books; and William P. Dunn papers. Richard Slator Dunn was born in Minneapolis, Minnesota, in 1928. His father, William P. Dunn, was Professor of English of the University of Minnesota. Dunn graduated with B.A. from Harvard College in 1950, M.A. from Princeton University in 1952 and Ph.D. in History from the same university in 1955. He started his teaching career in Princeton in 1954. 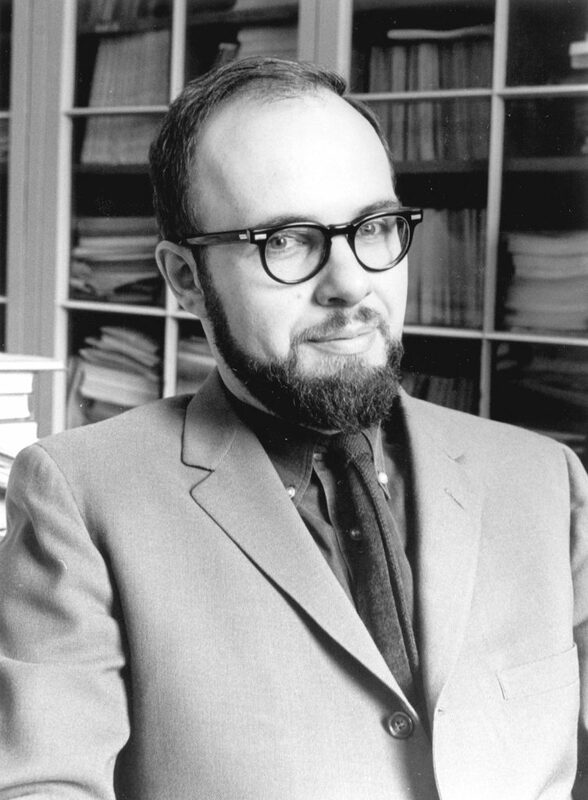 After he completed his Ph.D. program, Dunn taught at the University of Michigan from 1955 to 1957. He joined the faculty of the History Department of the University of Pennsylvania in 1957 and was promoted to Associate Professor in 1963 and full Professor in 1968. In 1972, Dunn was appointed Chairman of the Department of History, a position he held until 1977. Dunn founded the Philadelphia Center for Early American Studies the following year and served as the first director of the Center. In 1992, he was appointed editor of the Early American Studies series published by the University of Pennsylvania Press. Dunn has published many books and articles. The first book he published in 1962 was Puritans and Yankees: The Winthrop Dynasty of New England, 1630-1717. It was followed by The Age of Religious Wars, 1559-1689 (1970), Sugar and Slaves: The Rise of the Planter Class in the English West Indies, 1624-1713 (1972), a multi-volume work of The Papers of William Penn, edited with his wife Mary Maples Dunn and others (1981-1987), and The Journal of John Winthrop, 1630-1649 edited with Laetitia Yeandle (1996). In addition to his own publications, he has contributed chapters to about a dozen of books, among them Seventeenth-century America: Essays in Colonial History (1959), Anglo-American Political Relations, 1675-1775 (1970), Early Maryland in a Wider World (1982), The World of William Penn (1986), and Cultivation and Culture: Labor and the Shaping of Slave Life in the Americas (1993). Dunn is member of American Historical Association, American Antiquarian Society, Organization of American Historians, Massachusetts Historical Society, Historical Society of Pennsylvania, Library Company of Philadelphia, and Institute of Early American History and Culture Associates. Among the numerous honors and awards he won throughout his career, Dunn was elected Guggenheim Fellow for the year of 1966-1967, granted the American Council of Learned Societies Fellowship in 1977, appointed Fellow of the Queen’s College, Oxford University, for the year of 1987-1988 and honored by the University of Pennsylvania with the Lindback Teaching Award in 1993. The Papers of William Penn, which he edited with Mary Maples Dunn, won from the Society of Colonial Wars a Distinguished Book Award in 1990. Dunn retired in 1996 and was elected Professor Emeritus of History of the University of Pennsylvania. The Richard S. Dunn Papers represent the career and achievement of the distinguished Penn faculty as teacher, author and administrator. The Administrative files series documents his experience as Chairman of the Department of History of the University of Pennsylvania as well as his commitments as a senior faculty member to many committees of the School of Arts and Sciences or of the University. Important features include faculty search for positions of different levels, an internal review of the Department of the Asian and Middle Eastern Studies, activities with the University Council, and last but not the least, his participation in the School of Arts and Science Task Force on long-term planning throughout the latter half of the 1980s. Dunn’s teaching experience is well recorded in the Teaching files series. Included in it are all kinds of teaching material, ranging from syllabi, bibliographical data, teaching notes to examination questions, recommendations written for the students, and a bounteous collection of Senior History Honors papers he advised from the late 1970s to the early 1990s. Dunn’s teaching at the University of Michigan as a visiting professor, 1969-1970, and his term as Harmsworth Professor of the Queen’s College, Oxford University, 1987-1988, are two additional features. The Publications, Presentations, Manuscripts series includes books and articles Dunn has published, papers he presented to various academic institutions and symposiums, and some unpublished manuscripts. Correspondence recounting the publication process of some major works, such as the publication of the William Penn Papers, can also be found here. The Other Professional Activities files record Dunn’s participation in the activities of many academic and professional institutions, among them the American Historical Association, the Historical Society of Pennsylvania, the Institute of Early American History and Culture, and the Philadelphia Center for Early American Studies. Files documenting his involvement with the last institution, of which he was a founder, include applications for fellowships of the Center and papers presented at the seminars organized by the Center from 1978 to 1992. A special feature in this series are files of a Maine Case (Bell vs. Town of Wells), in which Dunn was invited to provide his expertise as an authority in early American history. The Personal Papers series consists mainly of three segments–early literary practice Dunn did before he went to college, the undergraduate program in history he took at Harvard College, and the graduate program at Princeton University. Two more components of the collection deserve a special note. The Glass Slides series consists of over 140 pieces of slides Dunn used as teaching aids to his history courses. The series covers six subjects–early American bank notes (issued between 1775 and 1865), British statesmen and London landscape, American Far West, Italian statesmen, fugitive slaves, and World War I. The William P. Dunn Papers include over six hundred pages of manuscript by Richard S. Dunn’s father annotating a selection of works written by the English author and theologian Richard Hook. McNeil Center for Early American Studies. Philadelphia Center for Early American Studies. University of Pennsylvania. Department of History and Sociology of Science. University of Pennsylvania. School of Arts and Sciences. College of General Studies, Student evaluation of History 120C–Women and History, n.d.
Department of Religious Studies, strategic planning report, 1983 Jan.
History 399/400/401, Schedule, notes, etc. “Puritans and Yankees”, Revisions, n.d. Architectural drawing of the Historical Society of Pennsylvania, fourth floor, n.d.
Seminar papers, 1987, Rosenberg, Nancy F.
Seminar papers, 1993, Beiler, Rosalind J. “Democracy and the Humanities,” n.d.
“Outline of English History,” n.d.
“The People’s Choice, a Play in Ten Scenes,” n.d.
“Waiting for Tom to Come Home,” n.d.
English papers of the fourth, fifth and sixth forms, n.d.
Seminar on Teaching Methods, n.d.
Old Mint, Philadelphia–1 cent US Mint, n.d.
Seattle, front street from Yesler St.
Florida, St. Augustine old slave market, n.d.
Kansas Free Slave Fund, n.d.
Notes on the seventeenth century poets, n.d.